Jacques Delors knows the EU’s single currency, the euro, inside out – even the downsides. During his time as president of the European Commission – between 1985 and 1995 – he witnessed the birth of Economic and Monetary Union in Maastricht in 1992. He has seen all sorts of European Union crises unfold; but the current problems surrounding the euro concern him deeply. Not because they are insurmountable, but because they highlight the deterioration of the principles on which the EU was constructed. Jacques Delors has headed up the ‘Notre Europe’ think tank since 1996. And in an interview with Laura Davidescu of euronews, he expressed his anger but also his pragmatism. The European debt crisis, he said, can be contained with the tools already available to the euro zone. Jacques Delors: “Why? Because, leaving aside this business of the economic policy coordination pact, which they’re now coming back to in one form or another, but it’s a bit late now. The problem which has arisen from the Greek difficulties is simple: do we apply the “no bail out” as written in the Treaty which states that there will be no systematic help for a state which runs into difficulties. 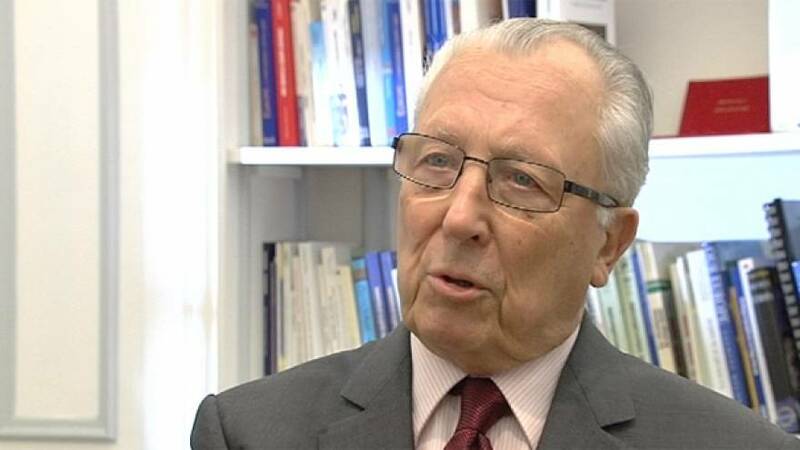 Jacques Delors: “That’s what they’ve done, they’ve tilted the system towards intergovernmental decision-making but it isn’t possible for 17 heads of government or finance ministers to define economic policy. We need to go back to the community method, give the Commission back it’s role in decision-making. Jacques Delors: “The Commission initiates. It can therefore make proposals. If these proposals are not accepted, it can explain to the press, and thus to EU citizens. That’s the threat I used when they wanted to put off adopting the Erasmus programme. I told the President of the European Council – Mrs Thatcher – ‘You know, at our joint press conference, I’m going to say that you don’t want this student exchange programme.’ They changed their minds and backed the programme. This is how a system can work.